Buffet Lunch in the Pavillion Bistro, US$35 per person. Featuring music by our resident DJ. 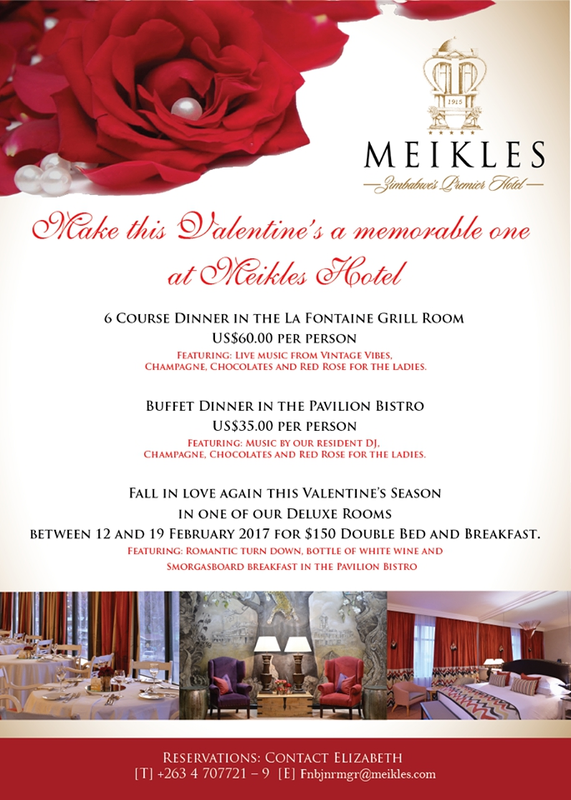 Fall in love again this Valentine's Season in one of our Deluxe rooms. Between 12 and 19 February for US$150 Double Bed and Breakfast. Featuring Romantic Turn Down, bottle of white wine and smorgasboard breakfast in Pavillion Bristo.